We're here to help schools, sports teams, churches, day cares and other non-profit groups like yours raise BIG!BIG! 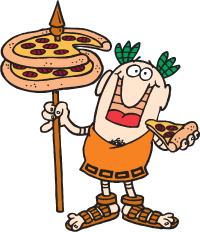 DOUGH with the Little Caesars® Pizza Kit Fundraising Program! The total profit you make depends on your group -- how you promote your fundraiser, how motivated your sellers are and how often your group runs fundraisers. Our experts will share proven tips and techniques to help you have a successful fundraiser.